Chennai-based IT firm Saksoft Ltd has agreed to acquire a controlling 51 per cent equity stake in Noida-based software testing services firm Threesixty Logica Testing Private Limited for an undisclosed amount, as per a stock market disclosure. ThreeSixty Logica offers high-end software testing programs and test solutions to independent software vendors, software product companies and SMEs. 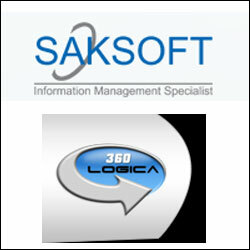 “The demand for independent testing services is growing at a phenomenal pace in the current SMAC (social, mobile, analytics and cloud) and e-commerce environment and the acquisition of 51 per cent of Threesixty Logica Testing Services Pvt Ltd is part of the broader plan to enlarge our footprints in the testing domain,” said Aditya Krishna, CEO, Saksoft. Founded in 1994, Saksoft is a small sized IT firm which offers technology solutions in areas like information management, web development and business application testing, and caters to financial services, telecom and public sector markets. It also has offices in the UK, the US, Germany and Singapore. In January 2013, Saksoft Ltd had acquired US-based business intelligence and information management company Electronic Data Professionals Inc (EDP) for an undisclosed amount. Shares of Saksoft hit the upper circuit of the day rising 20 per cent to Rs 191.5 a unit on the BSE in a strong Mumbai market on Friday.